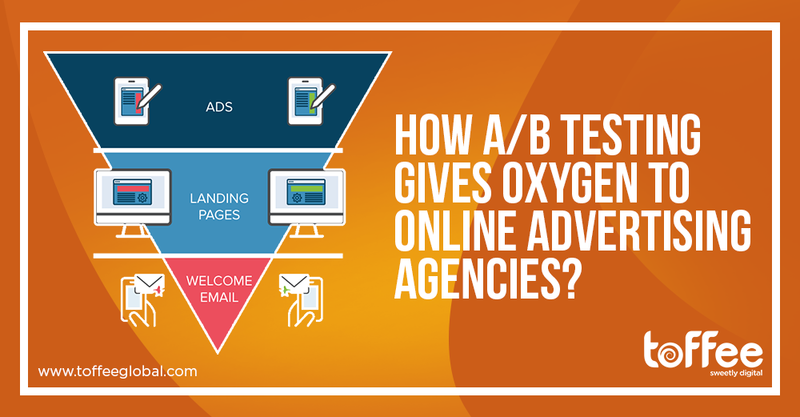 How A/B testing gives oxygen to online advertising agencies when they run out of it? Well, I think that part of being young is not exactly knowing why you do some of the things that you do. And it’s by exploring your life or experimenting or making mistakes and learning from them hopefully that you start to forge an identity” – Stephen Chbosky. So, the long quote by Stephen Chbosky speaks about experimenting and how one can explore amazing things in life by just doing that. While the quote speaks more in a general tone, we’re here going to focus on something more specific to dissecting how thoughtful-experimenting could make wonders happen for you — perhaps, if you’re leading a project in your digital marketing agency and are made over results — tables are going to turn for you in all good ways. Sometimes little changes can do things unexpected — like this piece is going to do for you. When it comes to digital advertising, PPC ad campaigns clearly sit on the driving seat. They’re great to calibrate the metrics for your progress and could be easily optimized by experimenting, to deliver better results. If you’re a brand looking for your targeted audience to land on a specific page, the majority of online advertising companies are going to recommend you the same advertising model. A/b Split testing in simple words? A/B testing involves two variants of an experiment’s subject (e.g. An ad-unit for example), that are subjected to series of experiments by only making minor changes in their elements and keeping other elements & properties same. For example, if we’re dealing with a page element, these factors could be a form, call-to-action button, an image or any other factors that stimulate the conversation rates. How does A/B testing affect your campaign? The test results could handy in multiple ways. If you’re already running an ad campaign, you can experiment with a few elements of your ad-unit to see how they affect the conversions. Even if you’re campaign isn’t active yet, you can launch test campaigns and later use the more effective campaign — A/B testing is a great savior for all online advertising companies whenever they sense failure is about to come. No wonder why A/B testing has been one of the best practices that Digital Marketing Agencies generally rely on? Quick Tip: How to safely execute your tests without hurting your SEO? If you genuinely desire good conversions, always be a good guy to the search engines — search engines don’t like over-smart digital marketers who try to hoodwink them. Long story short, make sure your website appears the same to the search engine as it appears to your audience. Use the link attribute rel=”canonical” to tell make your main campaign identifiable among the ones akin to it. And last but not the least, remove alternate URLs when the experiment is done.